Mark your calendars, Rockies fans! vs. Philadelphia Phillies, 6:40 p.m.
Join fellow college students from across the state this college student package! Purchase the ticket package here and receive a Colorado Rockies-themed item! vs. Washington Nationals, 1:10 p.m.
Join the Colorado Rockies, Steve Spangler Science, CSU, and the 9News Weather Team for this educational event that incorporates physics, math, and meteorology into unique science experiments. Buy tickets here. vs. San Francisco Giants, 1:10 p.m. Calling all teachers and parents alike! Show your students the world of math at the Colorado Rockies' first annual Math Day! This event will be a great way to celebrate the end of the school year while also teaching math concepts centered on baseball. Buy tickets here. vs. San Diego Padres, 6:40 p.m. 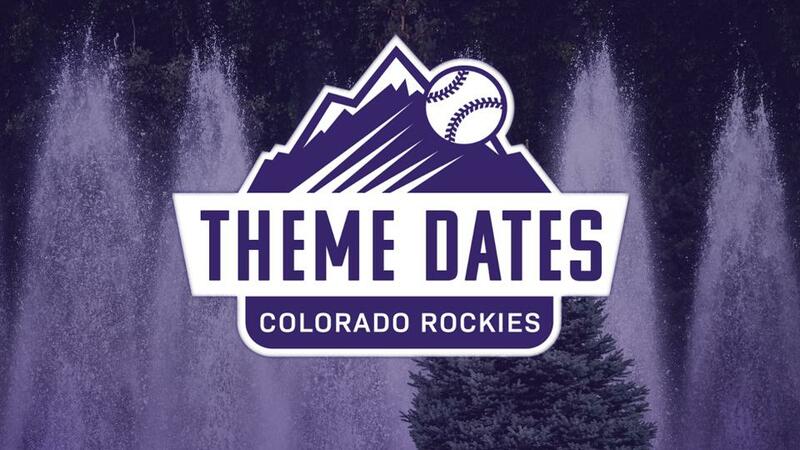 The Colorado Rockies and the Colorado Nurses Association would like to invite all medical professionals to enjoy a special night at the ballpark! Purchase includes a Rockies-themed healthcare coffee cup, as well as benefits the Colorado Nurses Foundation. Buy tickets here. vs. San Diego Padres, 6:10 p.m. In honor of Teacher Appreciation Week, the Rockies are inviting teachers, school administrators, and employees to the 5th Teacher Appreciation Game! Purchase tickets here. vs. San Diego Padres, 1:10 p.m. 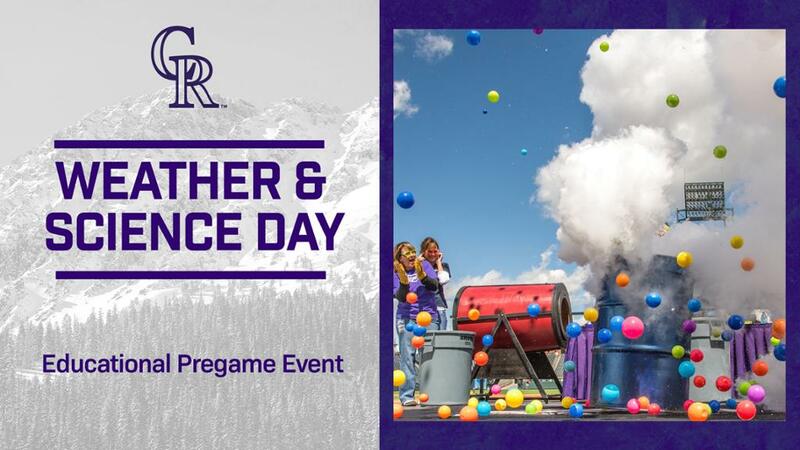 Celebrate Mother's Day with the Colorado Rockies, participate in a pre-game parade, and take a picture with your family on the field after the game! Buy tickets here. vs. Baltimore Orioles, 7:10 p.m.
Summer is coming. 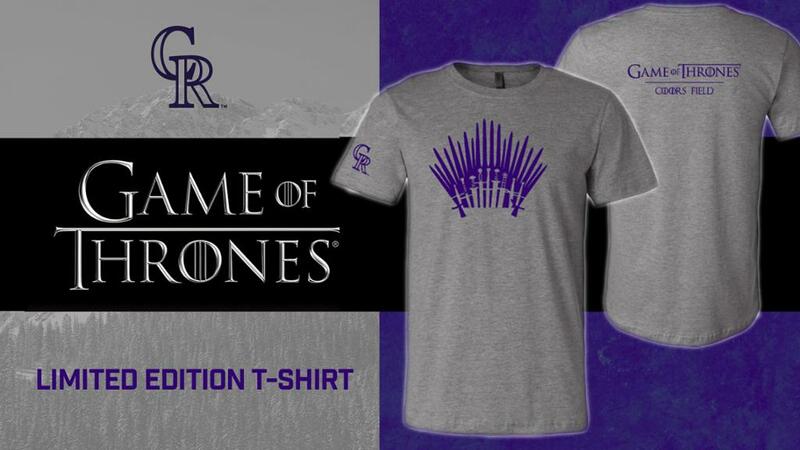 The Rockies have announced their first Game of Thrones Night at Coors Field! Celebrate the last season of the epic drama series while watching your favorite team take on the Orioles. Ticket package includes a limited edition Thrones shirt! Get your tickets online. vs. Toronto Blue Jays, 1:10 p.m. The Colorado Rockies have teamed up with UCHealth to show their support for those affected by cancer. A portion of each ticket sold will help benefit UCHealth Cancer Research. Buy tickets here. vs. Los Angeles Dodgers, 6:15 p.m. Faculty, staff, students, and alumni of the University of Nebraska are invited to come and watch the Rockies! Purchase the ticket package here, which includes a Nebraska-themed Colorado Rockies hat and a donation to the University. vs. Los Angeles Dodgers, 1:10 p.m. The Rockies are inviting the faculty, staff, students, alumni, and friends of CSU to Coors Field! Your ticket package includes a Rams-themed Rockies hat and a donation to the University. Buy tickets here. vs. Cincinnati Reds, 1:10 p.m. The Rockies and Colorado First Responders will donate a portion of each ticket sold to your choice of the National Law Enforcement Officers Memorial Fund, the Colorado Firefighter Calendar, and the EMS Association of Colorado. Purchase tickets here. vs. San Francisco Giants, 6:10 p.m. Journey to a galaxy far, far away as the ballpark is transformed with Star Wars-themed sights and sounds! 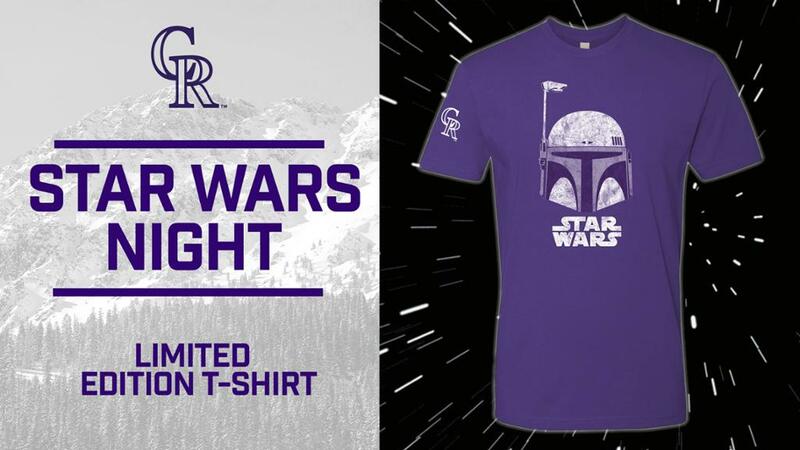 Your ticket package includes a collector's edition Colorado Rockies shirt. Buy tickets here. The Rockies want to celebrate Boy and Girl Scouts, their families, and friends with this one-of-a-kind event. Participating Scout groups are invited to walk on the field before the game for an exclusive Scout Day Parade. Get your tickets here. vs. Miami Marlins, 6:40 p.m. The Rockies are inviting the faculty, staff, students, and alumni of the University of Colorado! Your ticket package includes a Buffs-themed Rockies hat, as well as a donation to the University. Ticket packages can be purchased here. vs. Miami Marlins, 6:10 p.m. Calling all faculty, staff, students, and alumni of the University of Wyoming! Attend a Rockies game at Coors Field this summer. The ticket package includes a Pokes-themed Rockies hat and a donation to the University. Buy tickets here. Returning for the 15th Annual Faith Day, a post-game concert will be held featuring Kari Jobe. Get your tickets here. vs. New York Mets, 1:10 p.m.
Students interested in learning about working in MLB are invited to enjoy an educational presentation with members of the Rockies front office staff. Purchase the ticket package here. What do you think? Are you excited for the Rockies' season to start? Sound off in the comments which themed event you're looking forward to the most. In the meantime, check out the Rockies' spring training schedule!